Penguin Classics. PAPERBACK. 0143039822 Item in acceptable condition including possible liquid damage. As well, answers may be filled in. Lastly, may be missing components, e.g. missing DVDs, CDs, Access Code, etc. . Fair. Penguin Publishing Group, 2006. Paperback. Good. Disclaimer:A copy that has been read, but remains in clean condition. All pages are intact, and the cover is intact. The spine may show signs of wear. Pages can include limited notes and highlighting, and the copy can include previous owner inscriptions. At ThriftBooks, our motto is: Read More, Spend Less.Dust jacket quality is not guaranteed. Penguin Publishing Group, 2006. Paperback. Acceptable. Disclaimer:A readable copy. All pages are intact, and the cover is intact. Pages can include considerable notes-in pen or highlighter-but the notes cannot obscure the text. At ThriftBooks, our motto is: Read More, Spend Less.Dust jacket quality is not guaranteed. Penguin Publishing Group, 2006. Paperback. Acceptable. Disclaimer:A readable copy. All pages are intact, and the cover is intact. Pages can include considerable notes-in pen or highlighter-but the notes cannot obscure the text. An ex-library book and may have standard library stamps and/or stickers. At ThriftBooks, our motto is: Read More, Spend Less.Dust jacket quality is not guaranteed. Penguin Publishing Group, 2006. Paperback. Good. Disclaimer:A copy that has been read, but remains in clean condition. All pages are intact, and the cover is intact. The spine may show signs of wear. Pages can include limited notes and highlighting, and the copy can include previous owner inscriptions. The dust jacket is missing. At ThriftBooks, our motto is: Read More, Spend Less. Penguin Classics. Used - Good. All orders guaranteed and ship within 24 hours. Your purchase supports More Than Words, a nonprofit job training program for youth, empowering youth to take charge of their lives by taking charge of a business. Penguin Classics. Used - Like New. Book in almost Brand New condition. Penguin Classics. Used - Good. Former Library book. Shows some signs of wear, and may have some markings on the inside. Penguin Classics. Paperback. 0143039822 Unmarked text. . Good. 2006-07-25. Reprint. Penguin Classics. PAPERBACK. 0143039822 Book is clean. Crisp pages. Tight binding. Moderate shelf wear on cover. . Very Good. Penguin Classics. PAPERBACK. 0143039822 Crisp pages and tight binding. Light shelf wear on cover. . Fine. Penguin Classics. PAPERBACK. 0143039822 BRAND NEW, GIFT QUALITY! NOT OVERSTOCKS OR MARKED UP REMAINDERS! DIRECT FROM THE PUBLISHER!|0.5 . New. 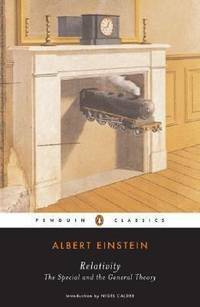 Penguin Classics, 2006-07-25. Paperback. Good. Excellent customer service. Prompt Customer Service. Penguin Classics. PAPERBACK. 0143039822 Remainder mark . Fine. Penguin Classics. PAPERBACK. 0143039822 *LIKE NEW* Ships Same Day or Next! . Fine. Penguin Classics. PAPERBACK. 0143039822 *BRAND NEW* Ships Same Day or Next! . New. Penguin Classics. PAPERBACK. 0143039822 . New. Penguin Classics. Reprint. Science & Math. New. Brand New: This item is brand new unopened, never used and still in its original manufacturer condition. New York: Penguin Classics, 2006. Paperback. 8vo. Light shelfwear; very good.